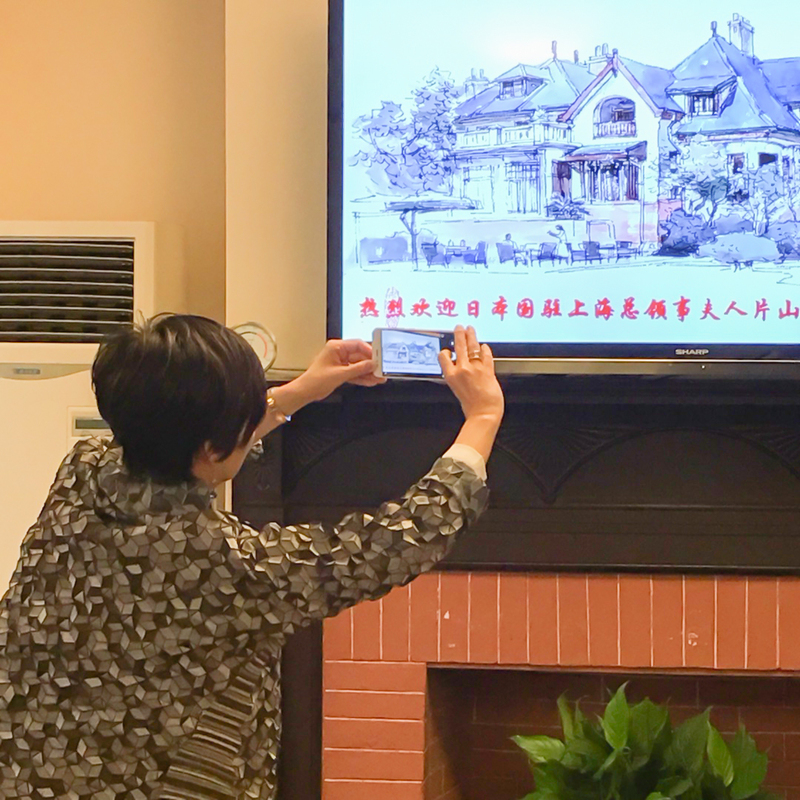 Mrs. Katayama, wife of consul general of Japan in Shanghai visited the Shanghai Soong Ching Ling Foundation on the afternoon of October 13. 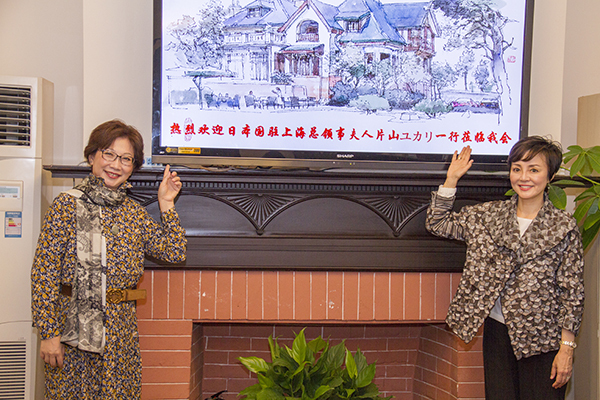 Accompanied by Ms. Zou Wei, executive vice chairman of the Shanghai Soong Ching Ling Foundation, consul general’s wife visited the foundation’s office and expressed strong interest in cultural, historical and architectural characteristics of this century - old former residence of China's well-known Soong Family. Ms. Zou Wei gave brief introduction to the guests on the foundation's basic situation and major public welfare projects, particularly on a long history of mutual cooperation in public welfare fields between the Shanghai Soong Ching Ling Foundation and the Soong Ching Ling Foundation in Japan in the past over thirty years. The Soong Ching Ling Foundation in Japan has repeatedly provided funding for projects in Soong Ching Ling Kindergarten and the International Peace Maternity and Child Health Hospital in Shanghai, and the Shanghai Soong Ching Ling Foundation has also helped to rebuild an early children's education center in the earthquake - stricken areas of Japan. 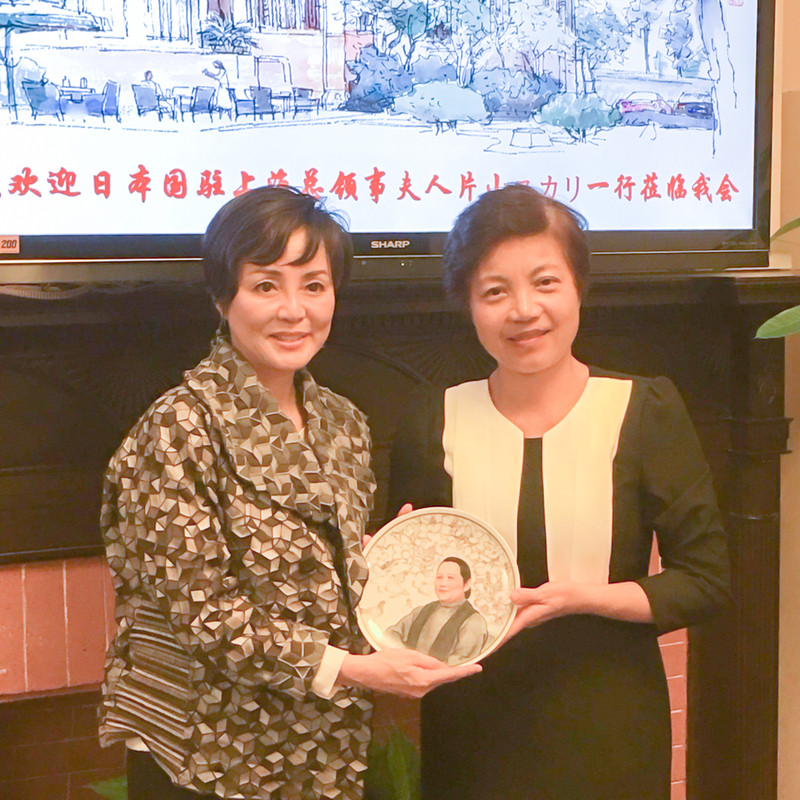 In the end, Ms. Zou Wei presented to Consul general’s wife an art porcelain dish with the image of Soong Ching Ling.